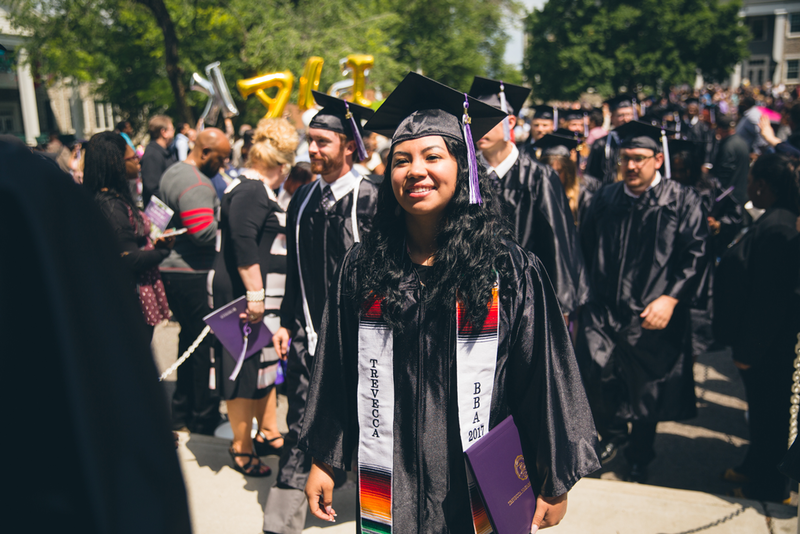 Trevecca Nazarene University’s 118th Commencement Convocation is set for Saturday, May 4. The ceremony will begin at 9 a.m. on the Quad, located in the center of campus. The University will confer more than 1,140 degrees. Dr. Richard Parrott, Trevecca professor of leadership studies, will serve as the commencement speaker. The author of Leadership Essentials: The Proven Path of Effective Leadership, Finding Your Path in Life and My Soul Purpose, Parrott has served on the University faculty since 2008. He holds degrees from Eastern Nazarene College, Nazarene Theological Seminary, the University of Missouri–Kansas City and Oregon State University. Parrott is also an ordained elder in the Church of the Nazarene, having served in pastoral ministry for more than 23 years. He and his wife, Shirley, currently teach an adult Sunday school class at Nashville First Church of the Nazarene. University officials expect more than 960 students to participate in the outdoor ceremony. Three students will offer short responses to Parrott’s charge: Ryan Gunter representing Trevecca’s traditional undergraduate students, Shana Light representing continuing studies graduates; and Christopher Melendez representing graduate and doctoral students. In addition, the University will also present the Lyla T. Mackey Diakonos Award to Dr. Steve Pusey, university provost, who is retiring after 27 years of service to Trevecca. Pusey will become the fourth recipient of the award, which is only given on rare occasions to individuals who have exhibited extraordinary service to the University community or Christian higher education. Previous recipients include Lyla T. Mackey, Dr. Gerald Skinner, and Judge Charles A. Davis. Graduates and their families can learn more about the ceremony, including parking and rain plan, at trevecca.edu/commencement.